Top-rated guitar store located in Los Angeles. 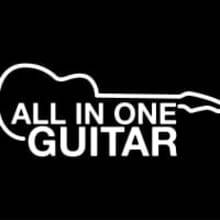 We are known for our amazing guitar PRICES, SETUPS, and budget-friendly REPAIRS! All our guitars ready for sale are re-setup by the owner who is a luthier himself. He has many years of playing experience and taught as the instructor for MI's Guitar Craft Program (GCP). I have 30 years of experience playing the guitar as a professional. My setup is nothing compared to a general setup. The setup we provide will be high-end. We will give you tailored and optimized setup for each guitar/playing style. It will have great playability and added quality to its sound. Let us know your playing style and we will customize it to your liking and perfect fit. WE ARE CONSTANTLY RESTOCKING AND ADDING NEW GUITARS!! PLEASE FOLLOW US AND/OR OUR ITEMS! If you're around the area, visit us anytime or contact us with any question!